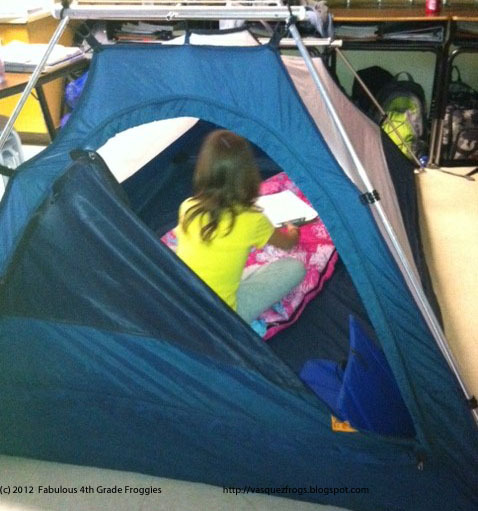 Teach Laugh Plan: Writing Fun = Camp Writing Along! 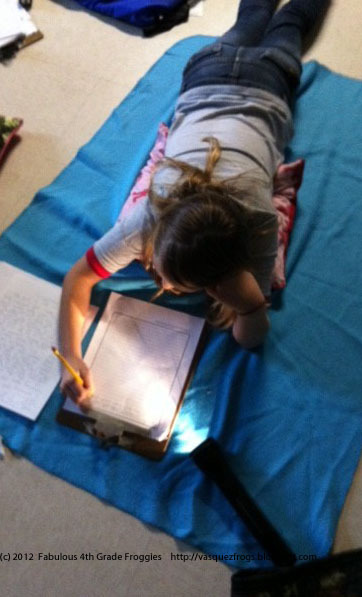 Writing Fun = Camp Writing Along! What a fun week we had at our Camp Write Along! 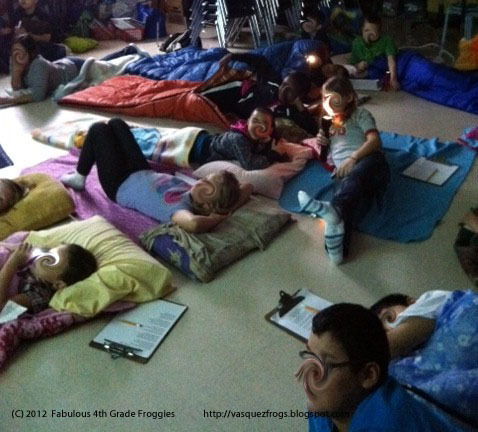 Students and teachers alike had a blast writing, revising & editing, singing songs, and reading mentor text all while laying in sleeping bags with flashlights and even a camp fire! Camp Write Along is a yearly event we do as a big final preparation for our State writing test (STAAR here in Texas). The Friday before this exciting event we send a letter to the parents (*Click here to download*). 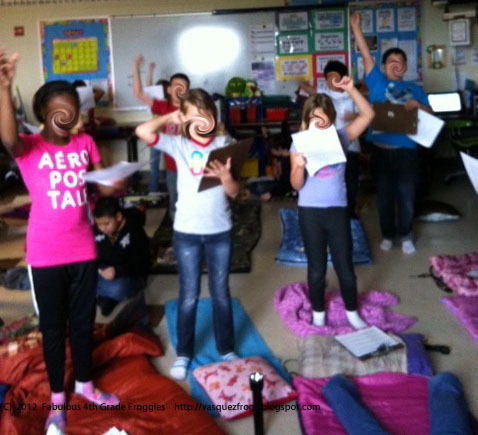 We we a weekly agenda that includes camp announcements! This year we had one of our teachers record our principal saying the daily announcements. Then each day we would watch the camp announcements on our Promethean boards. The kids thought it was super cool to have the principal involved! Each day we would complete one writing prompt and a multiple choice revise & editing passage. We would also learn a new "writing song" each day. (*Click here to download our agenda and songs*). On Friday, the last day of Camp Write Along, we shared some of the stories the students wrote and then the entire 4th grade got together for a ceremony to acknowledge 2 of the most improved writers from each class and sing all the songs together. Here are some pics of the fun we had! I am really pumped to try something like this in my classroom. Your kids will love it! Let me know how it goes! Thanks for sharing this! I'm sending the link to your post to a friend of mine who has to deal with our state writing test this year! Thanks Ms. Chrissy! State tests are no fun for the kids or the teachers! We are getting ready for our state reading and writing tests this month. I love this idea of making it fun for the kids! I would love to do this with my class....Good luck! Us too Kelly, this month and next. We have 2 day of writing test(one day a narrative composition and multiple choice revise & edit and one day an expository composition and more multiple choice revise & edit. Then in April we have one day of reading state test and math! Crazy stressful! Good Luck to you and your kids! Hi Mrs. Shepherd! I use different books each year and can't think of what I used this year off the top of my head but I will check on Monday and let you know. I do use a lot of Patricia Palacco's book for good beginnings and Vera B. Williams books to teach kids memoirs. 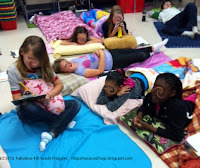 What is the writing genre for 4th grade in Texas? In Nebraska it's a narrative. We take our test in February, which leaves me the rest of the school year to concentrate on a workshop atmosphere. My students have enjoyed making alphabet books and sharing them with the k class. 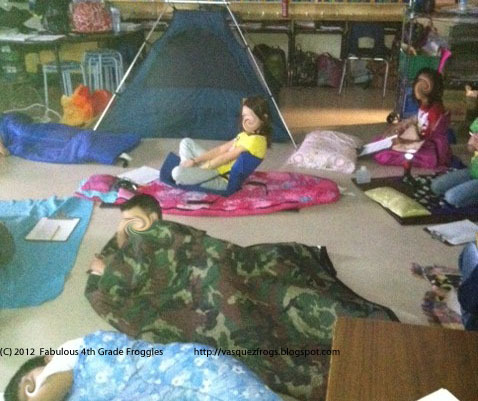 I like the camping idea, and this may be a great way for students to share their projects with other classmates. Hi Pat! The kids have to write a narrative on one day and then an expository composition on the next. 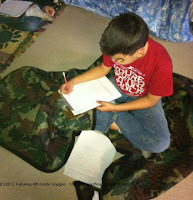 We do writer's workshop all year long except during Camp Write Along. 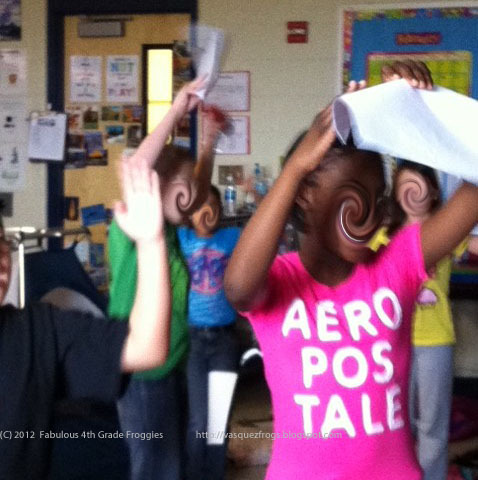 We take our writing tests in March and then our reading and math tests in April. I am not a big fan of state tests but we have to do what we have to do. Oh my goodness this is an awesome project and a wonderful way to get the kids pumped up with confidence and enthusiasm! I will definitely try to get my fourth grader team on board for something like this...but for sure I am going to have to try this for myself!!! I am going to tweet about this right now! Thanks Andrea! Your kids will LOVE LOVE LOVE this! I teach first grade, no state testing, and LOVE this idea so much! What a fun way to get kiddos writing! Is it ok to PIN this? LOVE LOVE LOVE! Thank you!! This sounds like so much fun! There's something about a sleeping bag to make anything more fun. Thanks for sharing these ideas! I LOVE this idea! I can't wait to try it in my classroom. 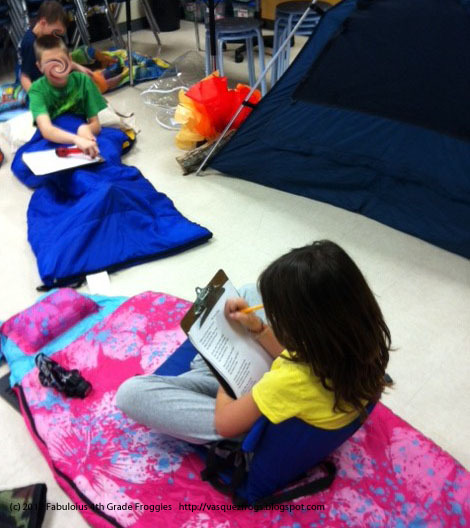 We also do Camp Write Along. Our students love it. Our entire 4th grade gathers in the cafeteria for morning announcements, lesson for the day, and then we sing songs. Our music teachers have worked with us over the last 5 years to practice all the songs before we get to camp, that way they know the words and sound great together. Next week is Spring Break, then we come back to camp, and then the next week is testing. Good luck to all teachers and students in Texas. I like the idea of getting the music teacher involved! Thanks for sharing Sharon! Hi Candy, you are going to have to tell me how everything turns out! What an incredibly fun activity!! There is a chance that I will be self-contained next year instead of just teaching math like I do now. If that is the case I will DEFINITELY be using this idea to get ready for the STAAR! Thanks, Lorraine! Glad you can use this idea Janaye! I can't beleive STAAR is just around the corner! I gave you an award for your cute blog! Come by and check it out! You are awesome! Can I be in your class? I teach in Louisiana, and we are getting prepared for the writing portion of our 4th grade LEAP test on March 20. I will surely plan something like this next year to get my students pumped for the test. Sending well wishes for your testing week! Hi Amy! Boy you sure are good for my self-esteem! :) Good Luck on the test....we have 2 days of writing on March 27th, and 28th. Love this idea! Thanks for sharing. Do the students participate in the camp the entire school day for the entire week, or is it only for a portion of the day? I was wondering what kind of time frame you used each day. Great question! Most of my teammates only do this for 1/2 the day but I do it ALL day long. I don't teach anything else. Our students will be timed (4 hours to complete about 20 multiple choice revise and edit and write one composition ) on the state test. I gave the students 4 hours to complete the one composition plus mutli choice revise and edit. We stopped for our special rotation and lunch and recess and the rest of the time was for singing songs, reading, and discussing. I will have to catch up with the other subject now but it was worth it because my students got so in to it and behaved so well! Thank you, thank you, thank you for being a teacher who is willing to share terrific ideas! I knew I wanted to do something special the week before the test, but your Camp Write Along is PERFECT! I usually have "Author Celebrations" once a month at which the students invite their parents and share their most recent compositions. 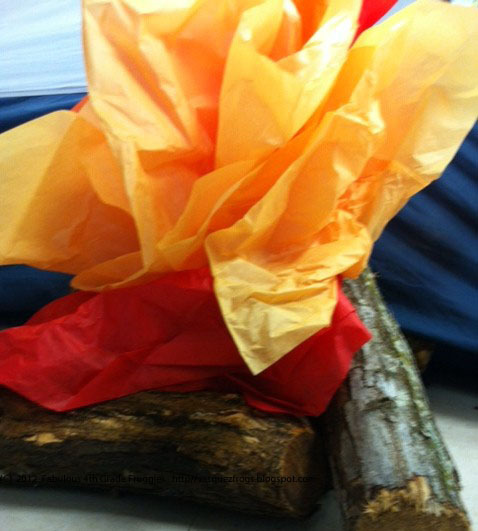 So, for this camp theme, we are going to have another Celebration - Campers' Style! I think we will serve hot dogs and s'mores! 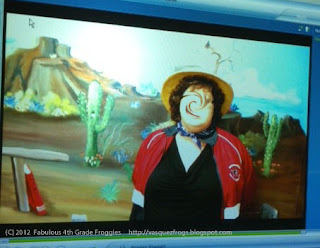 I teach fourth grade in El Paso, Texas! You are so welcome! I am glad you can use this idea. Good Luck on your upcoming test and let me know how your Camp Write Along works out! Ok, so the friend I sent this to is completely over excited about this idea. I keep finding the songs and script for the principal on the printer because she's working on putting one together for our school. So thanks so much for sharing it, and I'll let you know how it goes! Awesome Ms. Chrissy! They will have so much fun participating! Did you by chance video the songs? That would be great. We start writing camp next week! Sorry, we didn't video tape the songs. We went to iTunes and downloaded the instrumental versions of the songs. I'm forwarding this to our fourth grade teachers. Their Camp Write Along is next week after Spring Break. Great ideas. Wow, this looks like so much fun!! Thank you for sharing this fabulous idea! I'm a 4th grade teacher also, and this is definitely something that I would love to do with my class! I ABSOLUTELY LOVE this idea! I am self contained but the rest of my team-team teaches- Writing teacher on one team & then ELAR teacher on the other partner team. I plan to do this the week before the test. It will keep spirits up (including myself) and I think it will be a great meaningful experience. Thank you so much for sharing & to everything! It was helpful to view all your resources! "The Lily Pad" and my lunch box!